Three Pedigree canines have competed in the world’s largest dog show just days after being saved from a house fire. Broadly speaking, dogs seem to have a bit of a raw deal in films today. They seem to fall into two categories: direct to video fluff similar to Air Buddies, which stars a quintet of golden retriever pups so cute they make you want to puke, or slavering zombie horrors trying to sink their teeth into Milla Jovovich in films like Resident Evil. It’s a far cry from the fame and respect accorded to canine De Niros such as Rin Tin Tin and Lassie. Many canine film stars owe their careers to Strongheart, a German shepherd who was one of the earliest animal actors. After being trained to be a police dog whilst in Germany, he was brought over to the States by married filmmakers Laurence Trimble and Jane Murfin, who had some experience with canine actors. 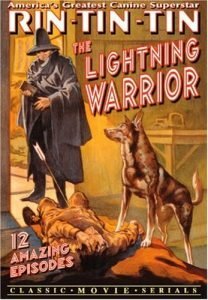 Strongheart made several popular films, such as White Fang (1925), and did much to popularise the breed in America – his lineage survives even now. Although many of his films are now lost, he paved the way for many four-legged thesps, which we at Dream Dogs now salute. Bear in mind that we’re only considering the stars of the show, and not side characters; if that were the case, Jed, the wolf/husky cross who stars in John Carpenter’s The Thing, would be first in line for a doggy Oscar.